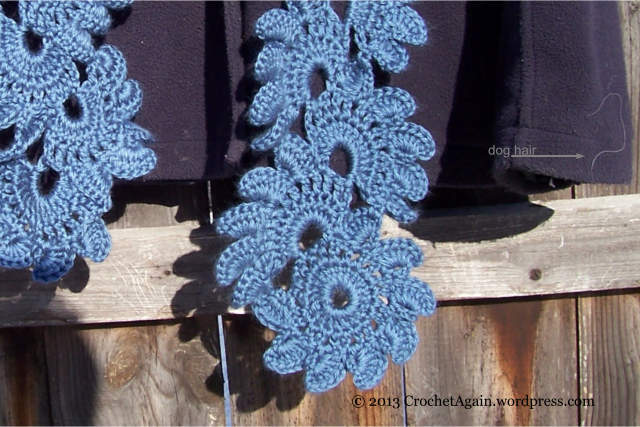 I have been making a few scarfs for gifts too, here another Lotus Flower scarf with Caron Simply Soft in Country Blue. They work up pretty quickly. You can see the nearly complete circle I tinkered with for the beginning, it worked out pretty well. 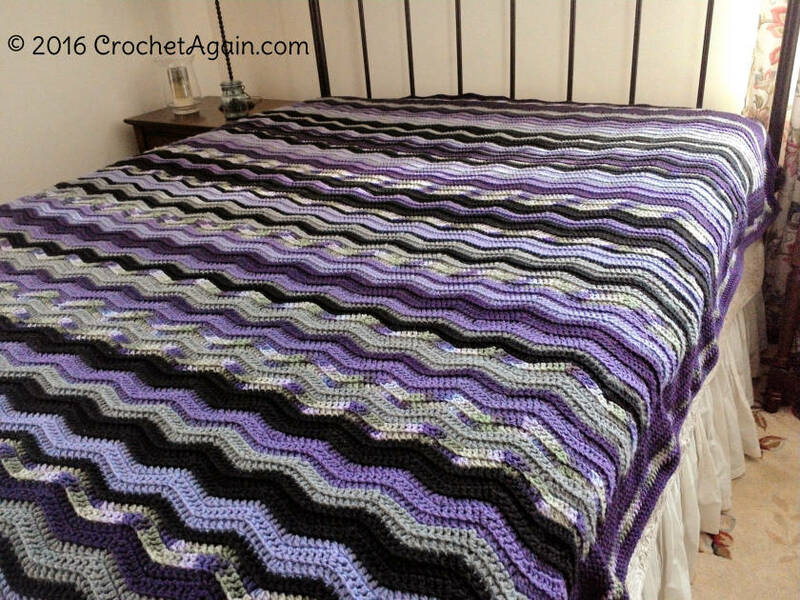 I am also making one of these in a medium gray yarn, that has a bit of sparkle to it like the first one. That one is going to be a gift for myself! 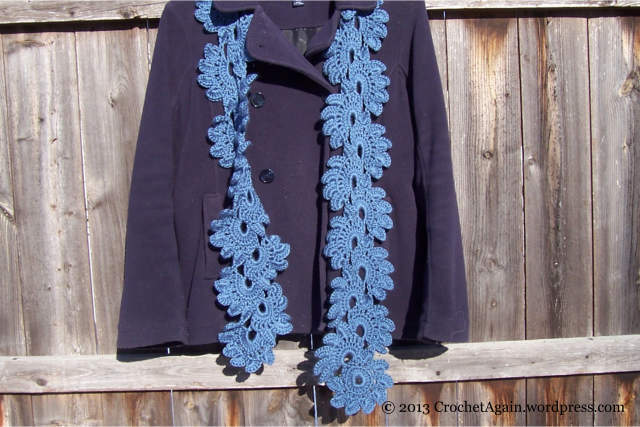 I made this spiral fringe scarf for my daughter, but then I heard her say she doesn’t wear scarves! Oh, so sad, I will have to keep this soft, warm scarf for myself. 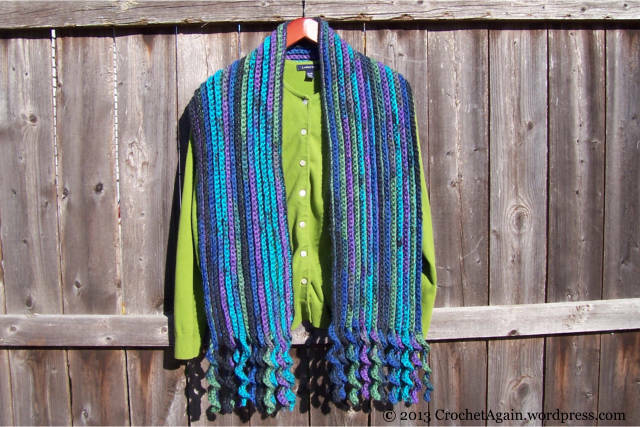 It does match a green winter jacket I have! Wishing all wonderful, merry holidays! UPDATE 1/21/17: I have a new version, Mitered Granny Square 2.1 which is a diagram for a mitered square with ch2 corners and ch1 in between the 3dc clusters that you may want to check out. 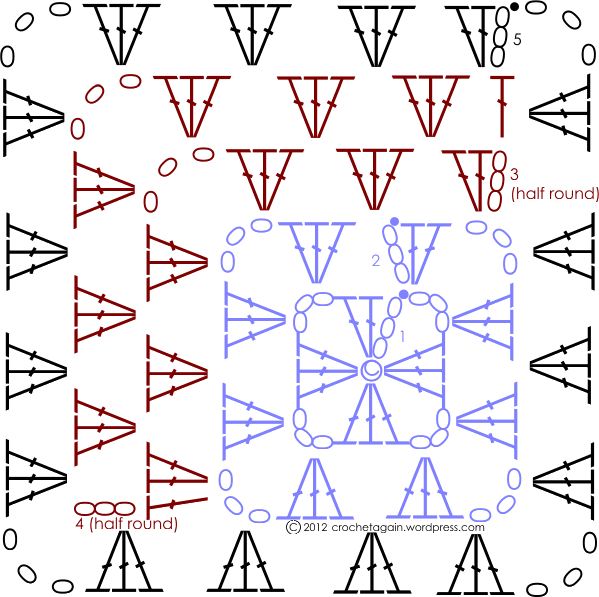 To help understand how to do the Mitered Granny Square, here is a diagram. The diagram only shows the first part of mitering to get you started, it should be easy to extend it to additional rows as needed. The border is included. 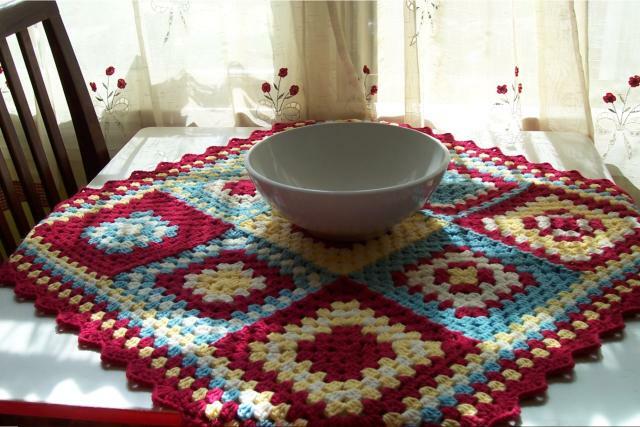 My table topper is almost finished, just need to do all the weaving in (I wish that was as easy as hiding them underneath for the photo : ) I really love how it came out. 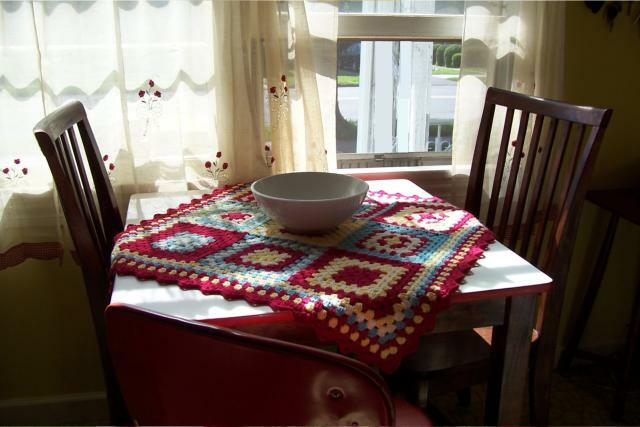 The colors are so cheerful, a bright spot for morning coffee. 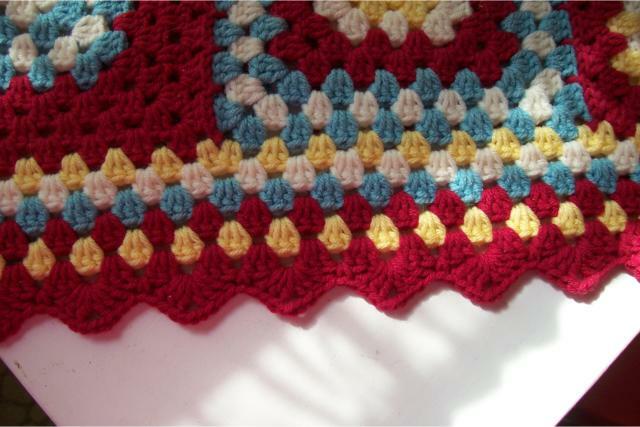 If you know how to do corners on granny squares, then you already know how to do the edging! In the space between 3 dc, do the 3dc, ch3, 3dc that you would do for a corner. Sc inbetween the next 3dc space. And so on. You need an odd number of 3dc spaces to have it work out right. In the corner spaces, I did 4dc, ch3, 4dc to make them a bit bigger. 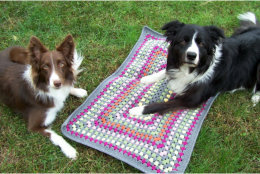 You can see some of the squares before the edging was added in this post.